You Will be Amazed at the Excellent Health Care in Mexico Options! For most of us ‘Boomers’ Health Care is a very important consideration. There are many aspects to Health Care from ‘Tourista’ (Montezuma’s Revenge) to major surgery, dental, natural medicine, private insurance to the National Medical System, prescription drugs and many items in between. It’s a big topic and a very important one. If you haven’t spent much time in Mexico, this could be one of your major concerns. It should not be, especially if you are considering living near one of the major cities or tourist destinations. There are excellent facilities, doctors, specialists and medical staff in Mexico and a major benefit is that they are readily available (no long waiting periods). Many of the doctors speak English and often have taken some training in the United States or Europe. 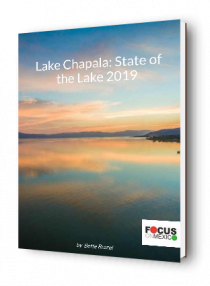 Having lived in Lake Chapala, Mexico since 1995 we have had a lot of exposure, both personally and through the many Focus people we have brought to this area and gotten to know since we moved here. There are many, many inspiring stories of personal medical experiences. Whether you take private or public coverage or elect to just pay-as-you go, you will be absolutely delighted with the quality of the service and in particular, the personal and caring attention you will receive in Mexico. The people that live here will tell you they are very pleased with the quality and availability of health care in Mexico systems, facilities and medical personnel. Needless to say, John was speechless. He told the doctor. “I can pay. I just wanted to check out the cost to compare.” John not only had the surgery and it was successful, but he and his wife became good friends with the doctor. Certainly, you will find the ability of the doctors equal to those “north of the border.” But the real difference comes in with the quality of the service. When you go into a doctor’s office in Mexico, you are not a number – you are treated with love and care. You are treated like there is no one else waiting. They really listen to you and respond with kindness. They even make house calls. Even the veterinarians make house calls. In general, we recommend once you are living Lakeside to establish a regular doctor/client relationship with a doctor in private practice. The majority of doctors are highly trained, bi-lingual and can help you navigate through the various medical options you will have. In order to be covered in case of a major medical need, you can elect to use ‘Private Insurance Coverage’ (this could be national or international private insurance) or the Public Plans (see below). The cost of Private Insurance in Mexico varies, of course, depending upon your age, deductible and where you want coverage, and can range from $1100 to $20,000 U.S. per person (depending on whether Catastrophic coverage or Comprehensive). There are any number of companies offering a variety of options depending on what you want and how much you are willing to pay. Price depends on age, the “class” of the hospital you choose, deductible/co-insurance levels, maximum policy level and where you live. You can select from the small (but good) hospitals with company-selected doctors to the “glitzy” new hospitals with the top doctors/specialists (more expensive). Many people living in Mexico will opt for the Catastrophic coverage to cover major medical issues and self insure for smaller less expensive issues. Local doctor visits are very affordable to pay as you go. As mentioned we recommend everyone establish a relationship with a primary care doctor before you need them! Our Focus Program speaker on Mexico’s Medical System is Dr. Santiago Hernandez, a Mexican by birth, and a highly trained doctor who spent 30 years practicing in the United States. He emphasizes in his talk the necessity to have one trusted relationship versus a DIY approach with multiple specialists. Another option for those needing regular doctor visits – for instance, to monitor a chronic illness – is the Discount Program offered by Maskaras Clinic. For a set fee, day to day visits are covered. Some of the private insurance companies may have agreements with the hospitals and will pay directly. Others work on a reimbursement basis – you pay, then submit a claim to your insurer and they reimburse you. We have researched many private health care possibilities and although found some that were good, many of our clients could not qualify for acceptance because of pre-existing conditions, or the cost was prohibitive. Best Doctors Group Health Plan is Catastrophic Worldwide insurance with a low annual premium. Pre-existing conditions are covered automatically after 12 months. Or join one of the National Government Programs – There are two health care systems here in Mexico. IMSS & Seguro Popular – see below. There two Health Care in Mexico Coverage Systems are both available to foreigners living in Mexico, under any immigration status except an FMT (Tourist Visa). IMSS is generally for working people, whose employers pay for the coverage (there are other systems for state and federal government workers). The entire Seguro Popular program was designed to offer health care to people who are not otherwise covered Both systems are under-funded, but if you have no other options, and no savings to pay for emergency care, it does offer some help. IMSS stands for Instituto Mexicano del Seguro Social and can be equated to “Mexican Medicare.” It’s about as close to socialized medical coverage as you can get. Many working people qualify for IMSS and many employers make a contribution toward the IMSS coverage. Mexico has allowed retirees and other visiting residents to buy the IMSS coverage. They base the cost on what the payment would be if you were working full time at minimum wages. IMSS rates change every year, but, as of 2017, for the over-60 to 80+ group, they can range from $340 – $360 USD per year. Seguro Popular is free. But you cannot have both. If you sign up for IMSS, you can’t get Seguro Popular. In the last few years IMSS have imposed some pretty rigid pre-existing conditions exclusions so more people are being turned down than ever before. Also, your up-front fee is not returned if you are turned down. The first year on IMSS only a minimum of basic services are covered. Anything needed beyond these basic services must be paid out-of-pocket. The second year there are more services available, and the third year, everything is 100% covered, from a flu shot to a quadruple bypass. Seguro Popular covers pre-existing conditions and there are no age limits. The coverage is very broad, although not quite comprehensive, and you can apply once you have a resident’s visa and the other paperwork required. This is a good complement to a catastrophic private insurance plan, like Best Doctors, as it will cover things that are not covered in a Catastrophic Plan. Or join the National Government Program – ‘IMSS, Instituto Mexicano del Seguro Social’. There are two health care systems here in Mexico. IMSS & Seguro Popular. Mexico is home to well over a million US Veterans. Their needs are met in several ways. Currently, there is one clinic at Lakeside that takes TRICARE, the health care program serving active duty service members, National Guard and Reserve members, retirees, families and survivors worldwide…Lakeside Medical Group located at Hidalgo 244, Riberas del Pilar. The Third Option for Health Care in Mexico – Pay as you Go! There is also a third option is the ‘pay as you go’ approach or, if you are here only part of the time, it is possible you may be covered by your insurance back home. However, given the low cost of the IMSS plan and the local plans like the Maskaras Clinic Discount program, it really does not make sense not to cover yourself. Hello Focus, So happy that you started sending the news letter again, believe it or not, I missed receiving it. I live in Connecticut, (USA) and when my Grand Daughter is old enough to be on her own after school and summer vacation, I plan on coming down so please keep sending me info and on property. Thanks for writing Michael! Looking forward to seeing you here, we think you will love it! We are about to start a more regular emailing of our newsletter next month, so watch for a lots of new material on life at Lakeside. Let us know if you’d like more info on anything in particular – helps us decide on our writing priorities. I’ve been reading about the Lake Chapala area now for a few months. My wife and I are getting very close to retirement. We are down to making a decision every December whether we will work another year or not. We plan on visiting next March. From the research I have done it appears housing keeps getting more expense due to supply and demand. Buying vs Renting is a difficult decision. I one did decide to rent but did like the area well enough to spend the rest of their lives there, is renting give less options? EX: Get more expensive? Less options? I imagine several of our questions will be answered when we visit. We both look forward to seeing the Lake Chapala area. Hi Jan, yes the housing and rental markets have been heating up due to multiple factors including the stronger US dollar and the recovery of the US housing market (no one likes to sell their house at a loss!). The future is always hard to predict, but the factors that led to this tightening of the market seem likely to continue for a while yet. Buying Vs. Renting anywhere has always been a “multi-factor” decision based on personal and market considerations – no different in the Lake Chapala area. I think you are right, the best thing is to come down for an exploratory visit. You first have to determine if the Lakeside area is indeed your “next chapter” of life! 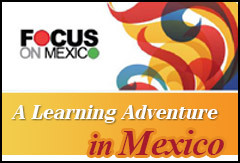 A good way to thoroughly check out what is involved in moving to this area is to take one of the Focus On Mexico 6-Day Programs. We include tours of neighborhoods and a behind-the-walls look at houses in different price ranges – both for buying and renting. I’m curious how far the inflation has gone in Mexican healthcare in 17 years since the article was published. A simple pacemaker implant starts from $CAD15-16,000, I’ve been told. Triple bypass must be over 30K. “For example, I have a friend who underwent emergency hernia surgery. Total cost for a team of 3 surgeons and a 2-night stay in a boutique hotel in Guadalajara came to $2,600 USD. A few days in a public hospital or IMSS can be also $1,000 for those not covered. (Not triple bypass of course, this would likely cost over 15K even in public system). Now, private system is a different creature, price range is huge. Some private hospitals charge more than in Canada, slightly less than in the US. In public system doctors and nurses are paid very little. But when imported equipment and supplies are used, it’s converted from $US, this jacks the prices up (for those not covered), and what’s worse, it can cause nasty delays when you’re laying in hospital bed waiting for a surgery.